a gluten-free, vegan caramel bar from Sweets from the Earth - yum! This is the perfect gift for a vegetarian, vegan, foodie, restaurant-lover or anyone looking to improve their eating habits! I also highly recommend this as a gift for your university or college student. 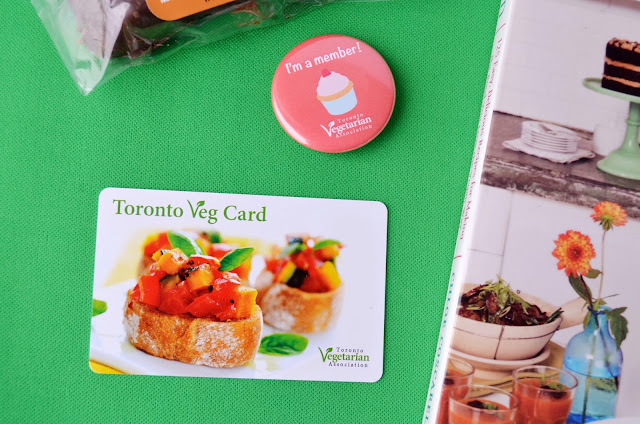 It will give them great discounts at a whole bunch of veg-friendly stores, restaurants and services in the GTA. After all, university is all about eating food with your friends, right? Good luck picking your cookbook by the way! Check out the choices. They all look amazing. I chose "Chloe’s Kitchen" mainly because it includes a recipe for delicious-looking vegan donuts. Now I just need a donut pan! In the meantime, the dessert section of this book is not to be missed. I believe I will be adding some new recipes to my usual repertoire of Christmas cookies. Take advantage of this special offer by December 16th. Delivery is included too if you purchase by December 9th! Founded in 1945, the TVA has a mission to inspire people to choose a healthier, greener, more compassionate lifestyle through plant-based eating. All of their work is funded through charitable donations. I have been going to their annual vegetarian food festival each September for many years. Whatever plans we have, it's one event I insist on working into our family's schedule! I don't have Chloe's Kitchen though I have considered buying it in the past. That's a good gift pacakge! Cool package that they have put together for the holidays! More and more we have been leaning toward going vegetarian. Would be a great prize pkg. 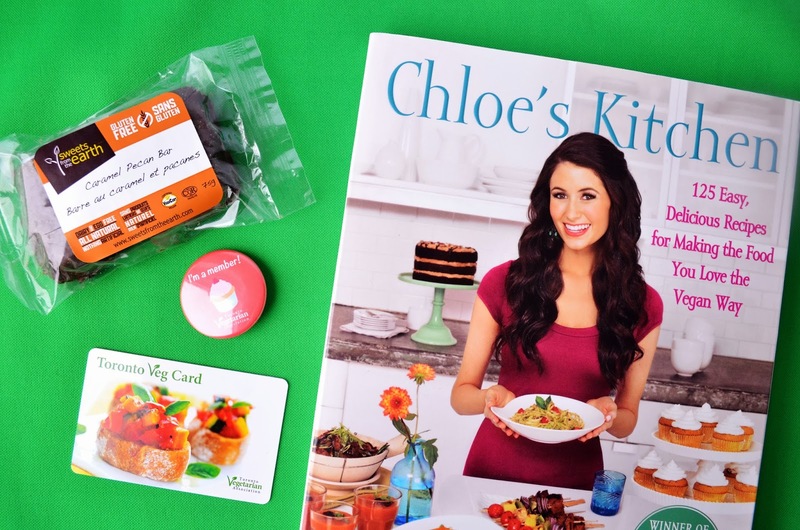 especially love the cookbook! What a great idea and awesome gift package. I would like to try more vegetarian cooking but I don't know if my hubs would like that too much. We are not a vegetarian family but I could see this going under the tree as a gift for someone I know! Thank you for sharing your thoughts and findings!